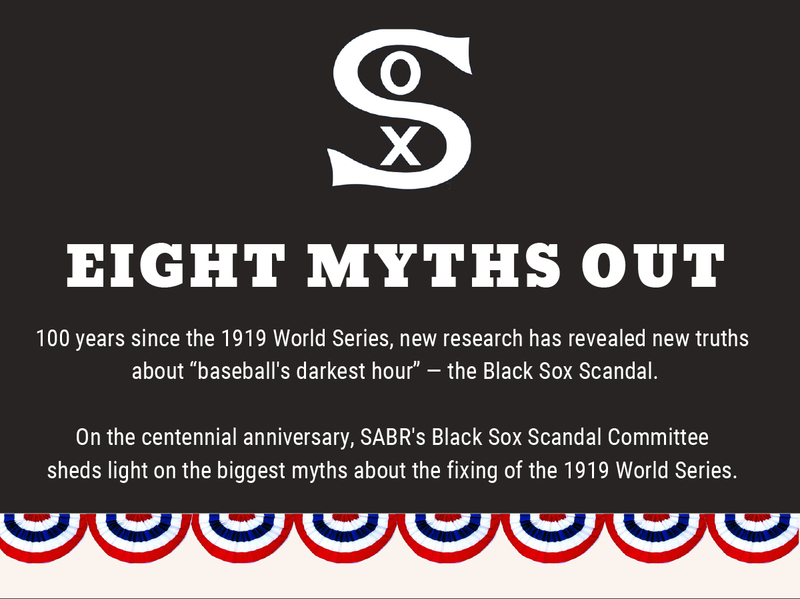 This year is the 100th anniversary of the “Black Sox” scandal, in which members of the 1919 Chicago White Sox were accused of conspiring with gamblers to throw the World Series. It’s a staple of baseball history and a cornerstone of the league’s strict anti-gambling rules since then, as well as the subject of a popular book and movie by the name “Eight Men Out”. It turns out, however, that the book, which was written in 1963, was incorrect on a number of fronts, and those factual errors, which have been since uncovered by further and more modern research, paint an inaccurate portrait of the story. Here’s a summary of new research from SABR, the Society for American Baseball Research, that lays out the case. This is the central thesis of Eight Men Out: Charles Comiskey’s “ballplayers were the best and were paid as poorly as the worst,” as Eliot Asinof wrote. That couldn’t be further from the truth. We can’t climb into the heads of the Black Sox to know exactly why they threw the World Series. But the players themselves rarely claimed, as Asinof did, that it was because of Comiskey’s low salaries or poor treatment — and we now have accurate salary information to back that up. Newly available organizational contract cards at the National Baseball Hall of Fame show that the White Sox’s Opening Day payroll of $88,461 was more than $11,500 higher than that of the National League champion Reds, and several of the Black Sox players were among the highest-paid at their positions. If they did feel resentment at their salaries under the reserve-clause system, so did players from 15 other major-league teams. The scandal was much more complex than disgruntled players trying to get back at the big, bad boss. One of the most dramatic scenes in Eight Men Out is when White Sox ace Eddie Cicotte tries to collect a $10,000 bonus he says Charles Comiskey promised him if he won 30 games. (In the book, this story occurs in 1917; in the film, 1919.) The incident is seen as the catalyst for Cicotte’s involvement in the fix — but there is no basis of truth to the story. Other White Sox players did have small performance bonuses in their contracts. For example, Lefty Williams was paid a $500 bonus for winning 20 games in 1919. In any event, Cicotte and Chick Gandil were already conspiring with gamblers to fix the World Series several weeks before Comiskey would have had the chance to renege on a bonus payment. And if Cicotte had pitched better in the pennant clincher, he would have earned his 30th win regardless. Arnold Rothstein, known as “The Big Bankroll,” was credited as the mastermind of the plot by his henchman Abe Attell in a self-serving interview with Eliot Asinof years later, but it may have still gone through even without the involvement of the New York kingpin. Fixing the World Series was a total “team” effort and the White Sox players did most of the heavy lifting. 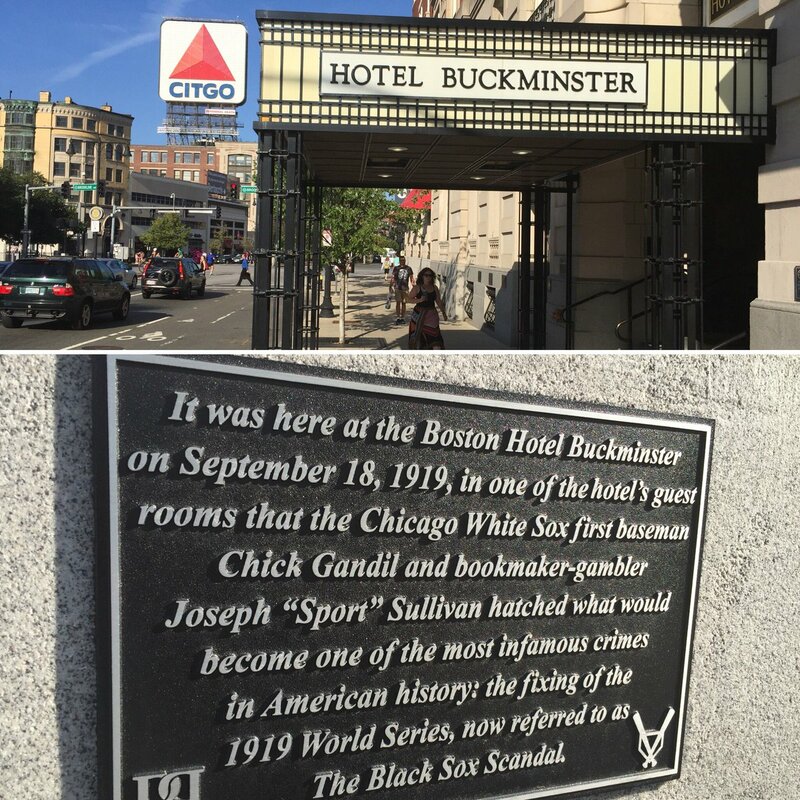 Chick Gandil and Eddie Cicotte, separately and together, first approached Sport Sullivan, a prominent Boston bookmaker, and Sleepy Bill Burns, a former major-league pitcher, to get the fix rolling. Then they began recruiting their teammates in several meetings before the World Series. Rothstein eventually did get involved, but he was far from the only underworld figure to play a role. There’s more, so go read the rest. There’s also a ton of links to follow for further reading if the subject interests you. As they say at the end, the Black Sox scandal is a cold case, not a closed case. There’s still more to learn about it, and our perceptions will likely continue to evolve as more evidence comes to light.